I love making dolls. 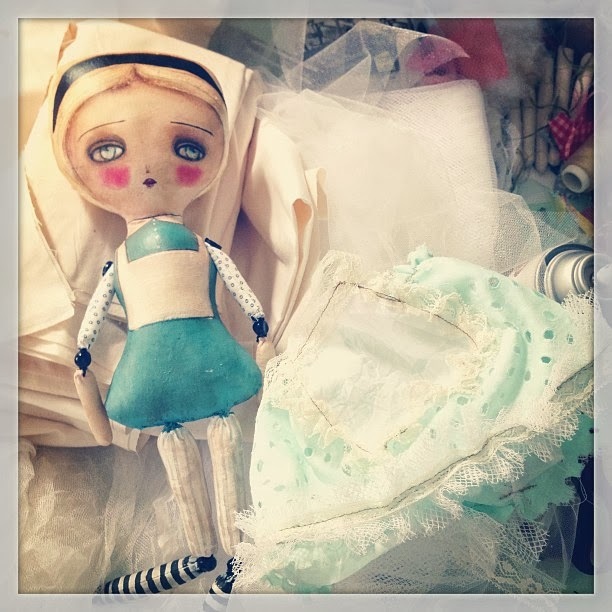 With each doll I make, there's a story to be told, a character to emerge, a little creature that comes to life. She can be a mermaid, a famous character, a pretty girl, a sweet ghost or a completely new persona. Each detail you add, each fabric you choose, each color you apply adds up to create a unique, one of a kind doll. Starting all from the same pattern, each finished doll is as unique as each person is. 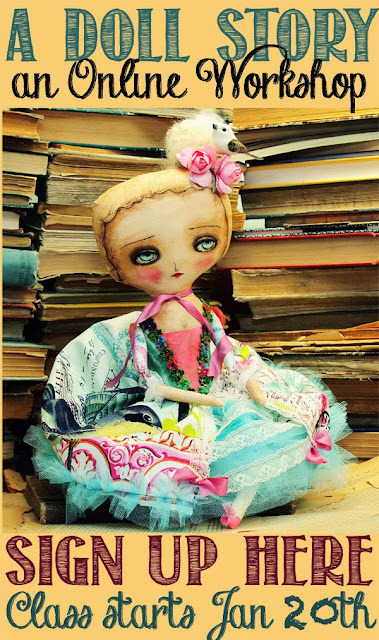 If you share my passion for creating dolls, join me in this new adventure: A DOLL STORY: AN ONLINE WORKSHOP. 4 weeks of doll making. 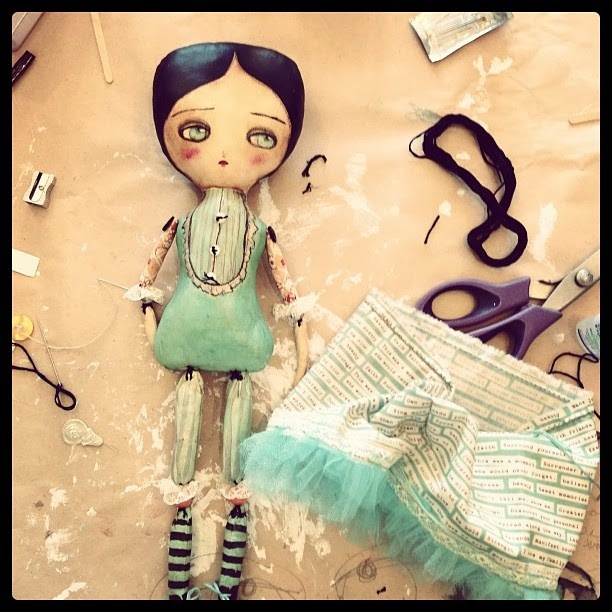 I'll show you how a doll is constructed from the very beginning to the last finishing touches. 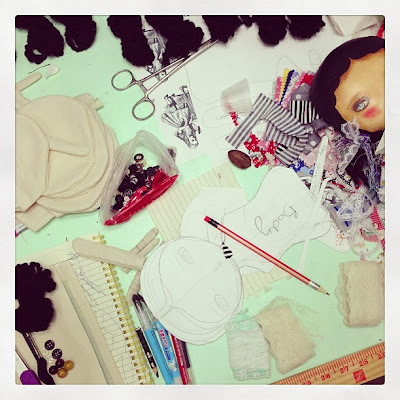 Starting with a unique pattern we will cut, sew, paint, draw, embellish and adorn our doll and once she's finished, you'll have all the necessary tools to create your own, one of a kind creations. Registration is open today and early birds will have a preferred price of 99 USD. After January 1st, the regular price will be 129 USD. Class start January 20th. If you have taken my previous workshop "Mixed Media from the Heart" you know I don't spare any detail! Can't wait to see you there and create with you! Oh oh oh eeek just got excited !! Dear hubby please buy me this for christmas .hehehe. El día antes que me llegará el mail de tus clases había pagado otro taller que tomaré en el verano, qué ganas de haber participado, seguro será increíble!! Don't miss this only once per year sale!